First up, let me admit that I don’t use any food apps. Nope, none at all. Sure, I make restaurant reservations online — in fact, my introverted self is a huge proponent of online reservations, because it means I won’t have to speak to anyone — but I’ve often found many food apps to be lacking in more ways than one. Some are good for recommending new places, for example, but don’t allow me to make reservations; those that do don’t offer me quite enough reviews from other diners to help me decide if it’s worthwhile to make a trip down. So I end up relying heavily on friends — and the Internet — to tell me where I should go for my next meal. And then WOMP (pronounced woh-omp) came along, and got my attention. Before I jumped straight in and began making dinner plans, I spoke to Melanie Chen, the co-founder of WOMP, to find out more about the platform. 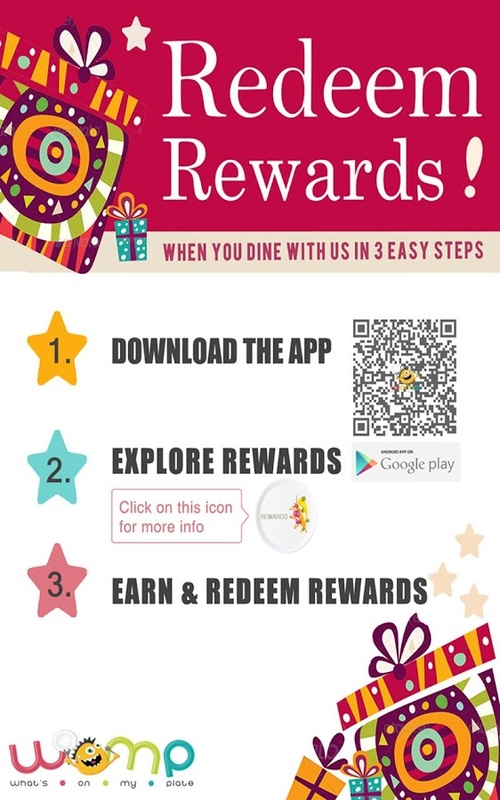 WOMP (or What’s On My Plate) is basically a mobile app that allows users to search for and read food reviews about various dining establishments, make reservations, place orders, redeem loyalty points, and share their experiences on social media, amongst other features. It is currently available on Google Play, and Melanie revealed that they have plans to make it available to iOS users in the near future. 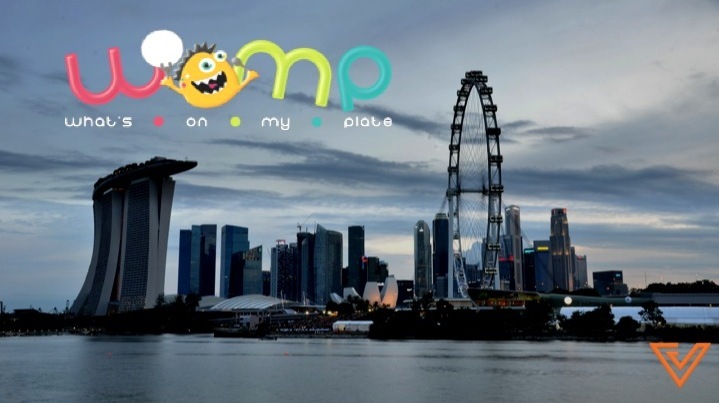 WOMP was co-founded by Melanie and Lim; while the former brought her love for food and web design to the young startup, the latter contributed years of experience as a restaurateur and knowledge of IT development to the team. 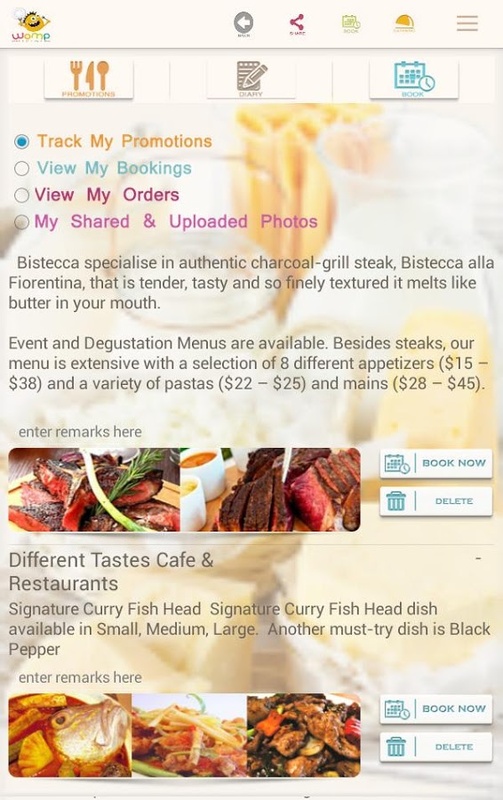 Melanie explained that the idea for the app came about as the pair noticed a gap in the food industry — consumers did not have a tool that allowed them to bookmark promotions from various restaurants, and there wasn’t a single platform that allowed foodies to discover, plan and place orders for their next gastronomic adventure. One of my biggest concerns, as someone who doesn’t use food apps, is how WOMP differs from apps that have come before it. After all, if I’ve found its predecessors lacking, I wouldn’t be likely to download WOMP if it doesn’t offer me something new. Users who recommend restaurants to their friends and family via WOMP can receive items from food establishments in exchange for their efforts. 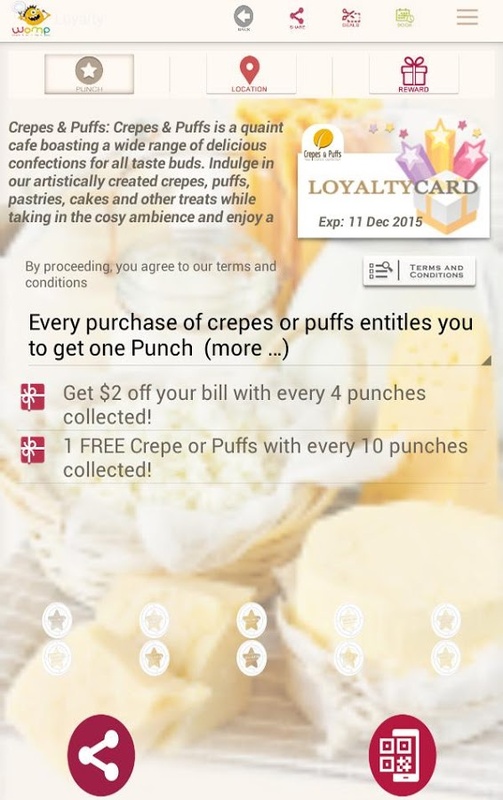 They can also collect ‘punches’ which they can then use to redeem rewards such as discounts off their total bills. 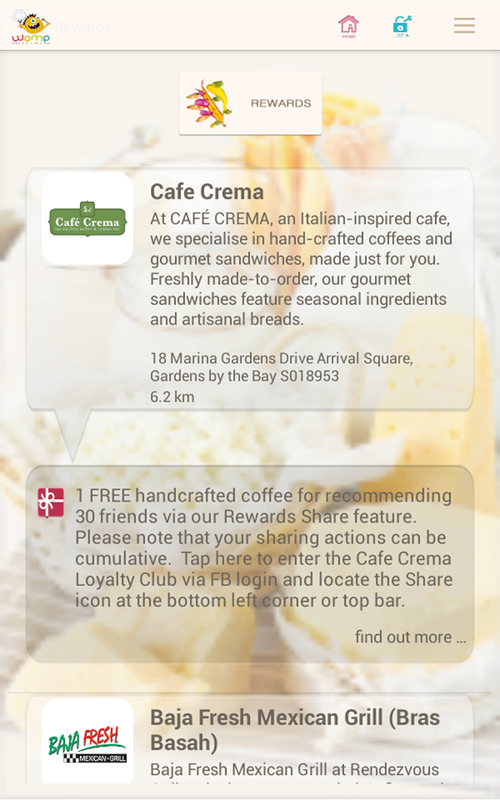 While this feature was clearly introduced to incentivise users to make use of the platform for food discovery and to receive dining deals, I’m not quite so sure about how promising the loyalty card system will turn out to be. Other rewards platforms like Perx, for example, did make use of such a feature, but it lost favour with consumers soon enough. Reviews on WOMP are obtained from Yelp and TripAdvisor, which together offer nearly 300 million reviews from diners on over 2 million restaurants. Other food apps, in comparison, get their reviews from only one source. 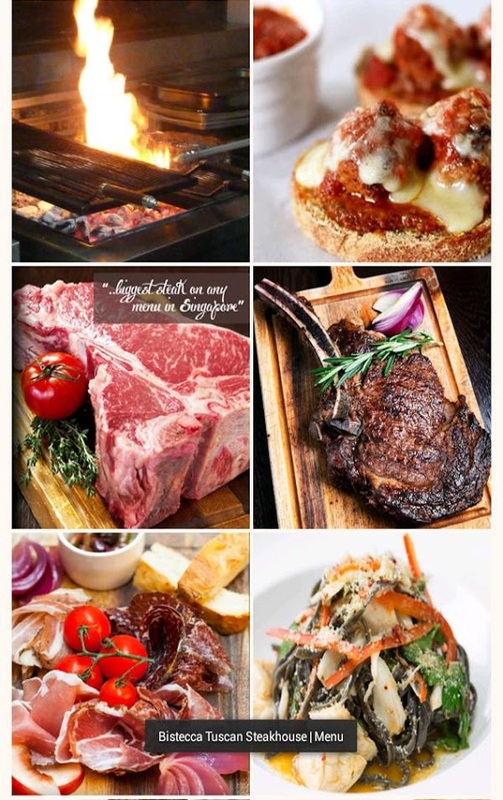 All available restaurant deals are collated under a single tab, making it easy for users to sift through and pick the ones they are interested in. 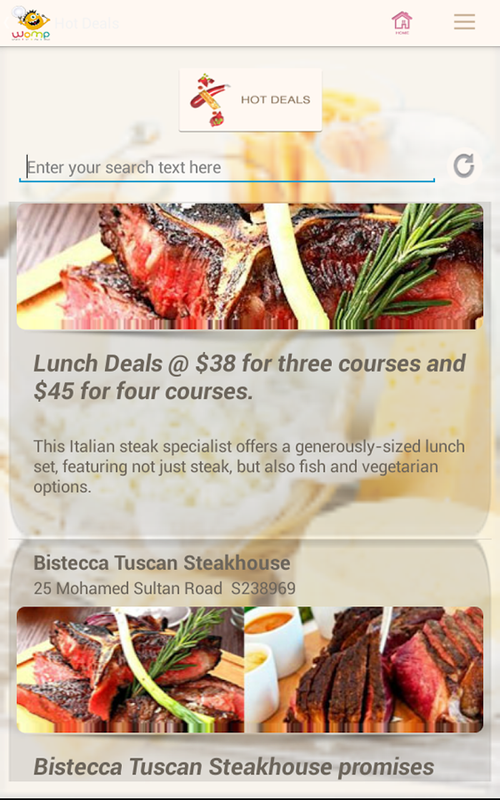 Diners can also bookmark deals by adding them to WOMP’s Diary tab, one of my favourite features. 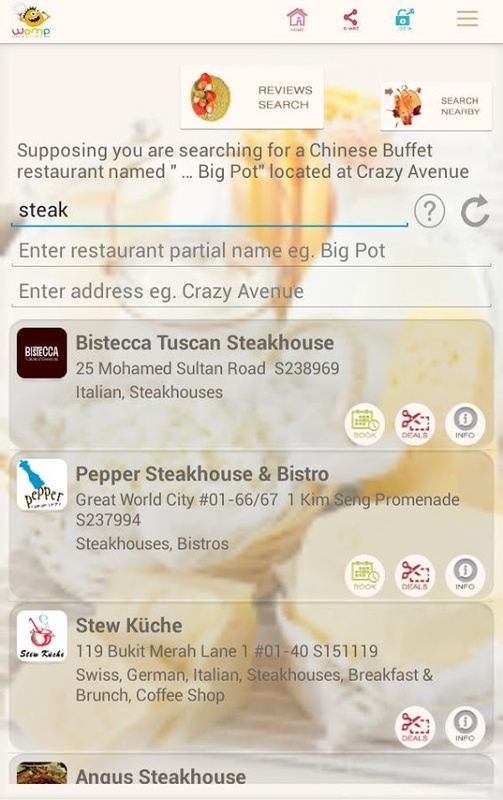 This helps keep track of the promotions which users are keen on, and allows them to view reservations and orders they have made at specific food outlets. WOMP, as a whole, is an app that has done a respectable job of incorporating various features that users might want into a single platform. The Diary tab, in particular, is something that could appeal to users. 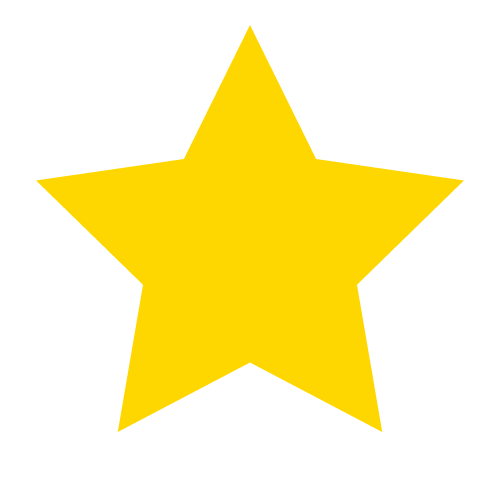 That said, features like its rewards system is not exactly groundbreaking, and the design of the app is pretty disappointing — its layout does appear somewhat messy at times, and colours slightly too muted to make the app look beautiful. Guess I’ll be waiting around a bit more before I get to download that elusive food app of my dreams.